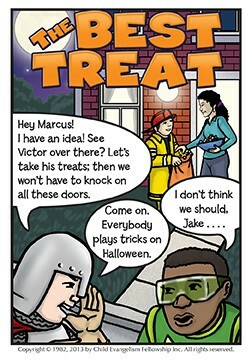 Jake and Marcus love treats and plot to steal Halloween candy from others. But they soon discover from a friend that there is an even greater treat that is given freely. A treat that only God can give.